Set in 14K Gold, these Teardrop Diamond Earrings each have 1/8 carat worth of sparkly I1, GH color diamonds. Other qualities of diamond could be used or even a precious gem. They are about a half inch tall, but could be made smaller or larger. METAL OPTIONS: Sterling or Argentium Silver, Yellow Gold, White Gold, Rose Gold, Palladium, and Platinum. The starting price is for these Teardrop Diamond Earrings in 14K Gold with Diamonds. Please contact us for other pricing options. 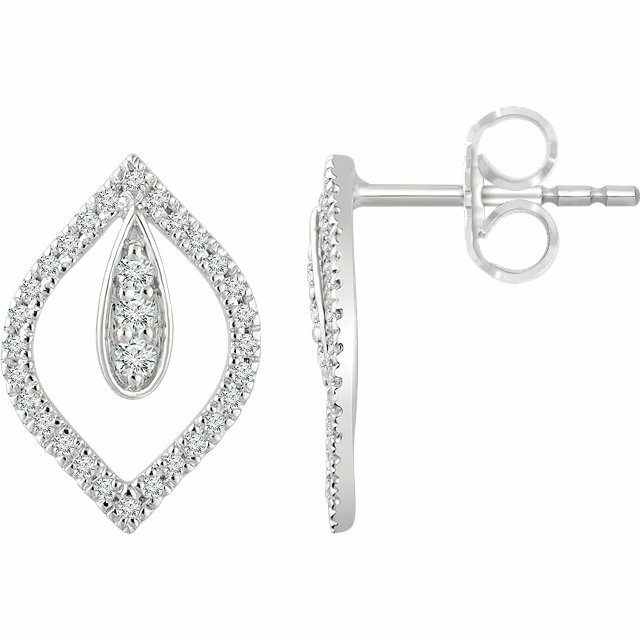 Click HERE to see another pair of Diamond Earrings or contact us with your idea for a pair of custom Teardrop Earrings.